The Common Goldeneyes are back and being seen in larger numbers along the Merrimack River in North Andover and Lawrence. 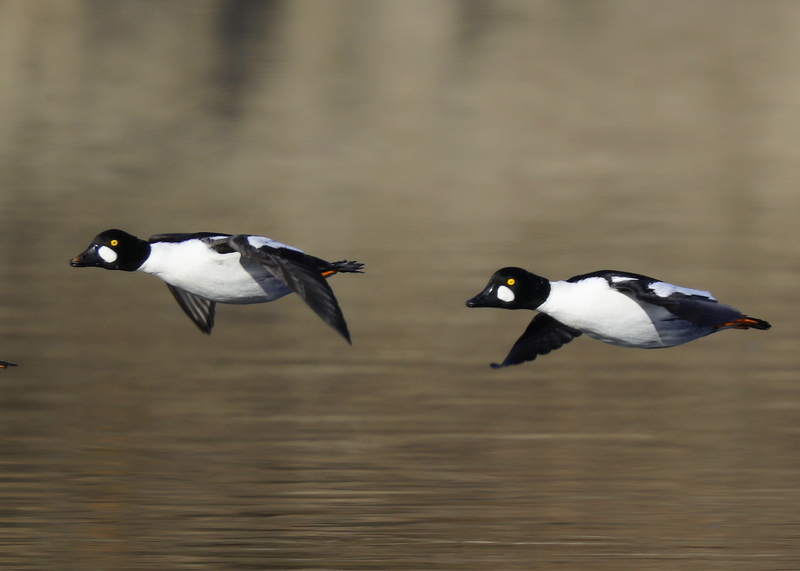 The Common Goldeneye is a medium-sized sea-duck. During winter months, they migrate to coastal and inland waterways. They dive for their food and typically feast on small fish and aquatic plants. They may fall prey to eagles, hawks, and owls. This pair was part of a much larger contingent seen in flight west bound just above the surface of the Merrimack River.